Abigail Morgan, Social Sciences & Business Librarian, Miami University was selected as the 2019 winner of the BRASS Academic Business Librarianship Travel Award sponsored by Global Financial Data. The grant consists of $1,250 and is awarded to an individual new to the field of academic business librarianship in order to support attendance to the ALA Annual Conference. 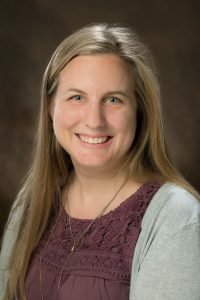 Abigail Morgan began her career as an Academic Business Librarian at Miami University, in July 2018 but she has long had an interest in the field. She began work as a library technician at the Office of the Comptroller of the Currency in Washington DC in 2009 and continued there while finishing her MLS at the University of Maryland, College Park. After her graduation in 2010, she was promoted to Project Manager at the Office of the Comptroller of the Currency and remained in that role until 2013. It was there that she began delving into banking regulation and economic research, through her work assisting patrons and cataloging materials. Her MEd thesis focused on financial literacy, another continuing interest and one that is highly relevant for patrons of all ages. She is currently the liaison to the Economics, Education, Juvenile Literature, and Teacher Education faculty and shares responsibility for Marketing. During her first semester, Abigail instruction and outreach included 43 business classes, reaching over 2,100 students, in addition to sessions taught in her other areas. She has also been selected to participate in a “New Faculty Grant Planning and Support program” which initiated by the university. In this capacity, she is planning a workshop to encourage non-business students and faculty to utilize our business resources. Abigail is a new (and enthusiastic) member of BRASS and is also a member of the ALA Games and Gaming Round Table. She is looking forward to attending her first ALA annual conference. The selection committee includes: Hilary Cathleen Smith (Chair), Orolando Duffus, Ann M. Fiegen and Terence William O’Neill.